We are delighted to invite you to our next Business Cocktail evening sponsored by BPCC Members, PLMJ Advogados and VILA VITA Parc Resort & Spa. This cocktail will take place at the beautiful VILA VITA Parc Resort & Spa, in Alporchinhos, on Thursday, 20th September. We encourage you to join us at this short, enjoyable and sponsored event on your way home from work. If you would like to bring along a potential member then please let me know in advance so that our sponsors can be prepared. VILA VITA Parc Resort & Spa – A member of the Leading Hotels of the World for more than 20 years, VILA VITA Parc Resort & Spa spreads across 54 acres of spectacular, sub-tropical gardens, with direct access to a glorious white sandy beach. Of Moorish-influenced and traditional Portuguese architecture yet fashionably stylish interior designs, the resort boasts 11 restaurants and 7 bars, including 2 Michelin star restaurant Ocean, contemporary Japanese restaurant Mizu, as well as an impressive wine cellar. 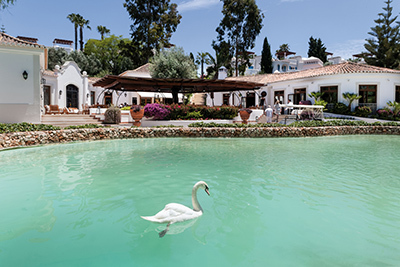 Also part of the group, beyond its gates, is the VILA VITA Biergarten in Porches, 3 beachside restaurants in Armação de Pêra and the Herdade dos Grous farm and vineyard located in the Alentejo, renowned for its wines. The resort has just recently completed a full renovation and enhanced its lifestyle offer by adding a brand new luxury shopping area – Vlife Shops – and a soon to open contemporary Spa by renowned cosmetic brand Sisley Paris which will integrate the existing Hypoxi studio – an innovative weight loss method only available in Portugal at VILA VITA Parc. PLMJ Advogados, SP, RL is a full-service, multidisciplinary law firm with more than 50 years’ experience and an impressive track record of innumerable domestic and cross-border transactions, from the most simple to the most complex. PLMJ’s more than 290 lawyers offer a reliable and efficient service, 24 hours a day, 7 days a week, and they are truly committed to exceeding their clients’ expectations and to respecting their budgets. PLMJ has built a solid network of partners in Portuguese-speaking countries – PLMJ Network – made up of multidisciplinary teams of lawyers that provide legal services in the different jurisdictions with great cost efficiency, backed by in-depth knowledge of the local markets and legal systems. Set up in January 2000, the Algarve regional office represents PLMJ in the southern region of Portugal. Located in Faro, this office provides the proximity necessary to maintain the high standards of quality and efficiency that are crucial when providing legal services. It allows PLMJ to respond to the needs of clients established in the south or with interests in that area’s market. Our team includes one partner (Carmen Baptista Rosa), one managing associate (Vasco Franco), four associates (Dearbháile Banahan, Cristina Vasconcelos Afonso, Rita de Carvalho and Gabriela Mendonça Santos ) and one trainee lawyer (Alexandre Hierro). Members of the team are fluent in English, Spanish and German. With practice areas that work in an integrated way and in close cooperation with PLMJ’s office in Lisbon, we provide specialist support to our clients in all areas of the law involved in their businesses and activities. These areas include corporate, real estate, town and country planning, construction and tourism, administrative, tax, nationality and residence, foreign investment and international trade, litigation (commercial, civil, administrative and tax), arbitration, and intellectual property. Meeting point at the hotel’s reception. In order to ensure your booking, your registration should be made before 17th September. Places are limited and bookings will be accepted on first come first served basis. We look forward to seeing you all on Thursday, 20th September and know that we will have a very productive enjoyable evening. Do bring plenty of business cards.